Monterey, Calif. (24 September 2017) – With a clever strategy, outstanding teamwork, and some bold moves from drivers Marc Goossens and Renger van der Zande, VISIT FLORIDA Racing scored a dramatic victory in the closing moments of the America’s Tire 250 at Mazda Raceway Laguna Seca on Sunday. The team, which had to deal with flooding and the effects of Hurricane Irma last week, rallied to be ready for the race weekend, which marked the penultimate race of the 2017 IMSA WeatherTech SportsCar Championship season. 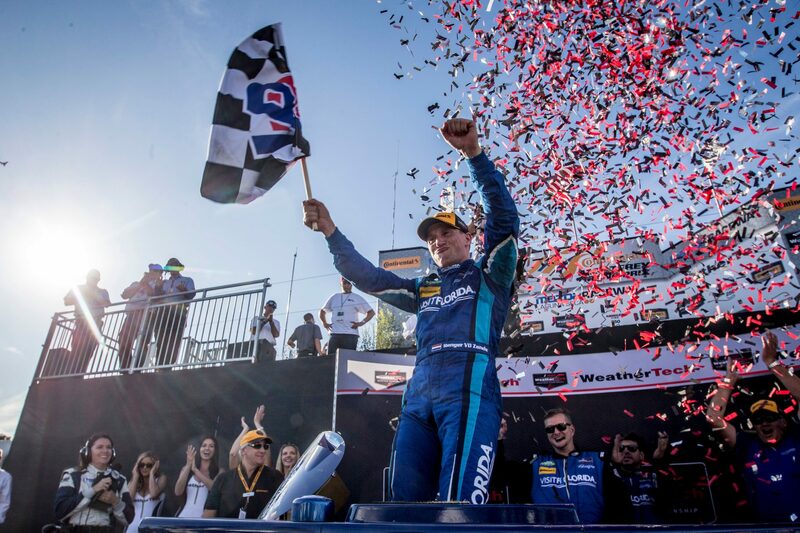 The victory is the third at the track for the team having won in 2012 and 2015 in a Daytona Prototype, and marks the third consecutive podium result at the 2.238-mile circuit for VISIT FLORIDA Racing. It was also the second podium of the season for the team, which opened the year with a run to third place in the Rolex 24 At Daytona. Goossens opened up the 2 hour and 40 minute race from third on the grid and kept the No. 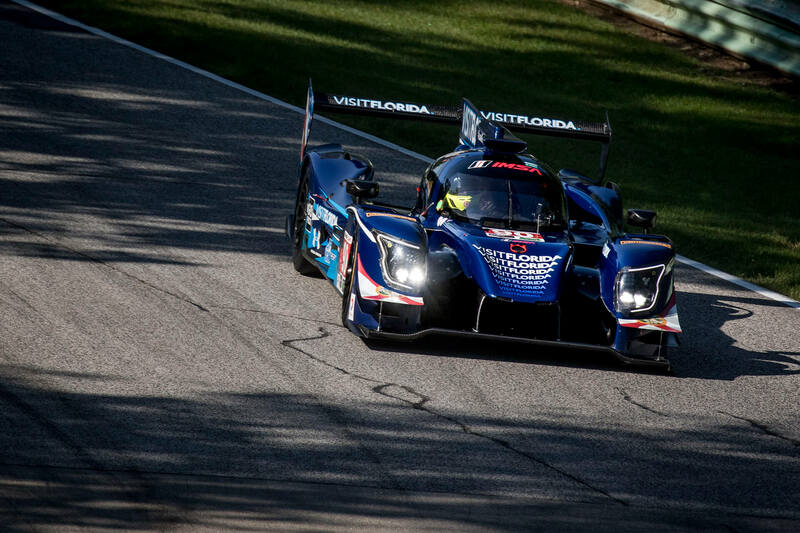 90 VISIT FLORIDA Racing Ligier JS P217 at the sharp end of the field. He worked his way up to the race lead prior to pitting at the 44 minute mark for a full service pit stop and a driver change. After a flawless pit stop, van der Zande returned to the track fourth in the order. He showed speed as he began catching the top-three cars. At the half-way point of the race, the team called van der Zande to pit lane for fuel and tires. A key call from the VISIT FLORIDA Racing strategists, saw van der Zande pit for the final time with 44 minutes to go – taking on fuel and only right side Continental tires. The call to take just the right side tires saw the No. 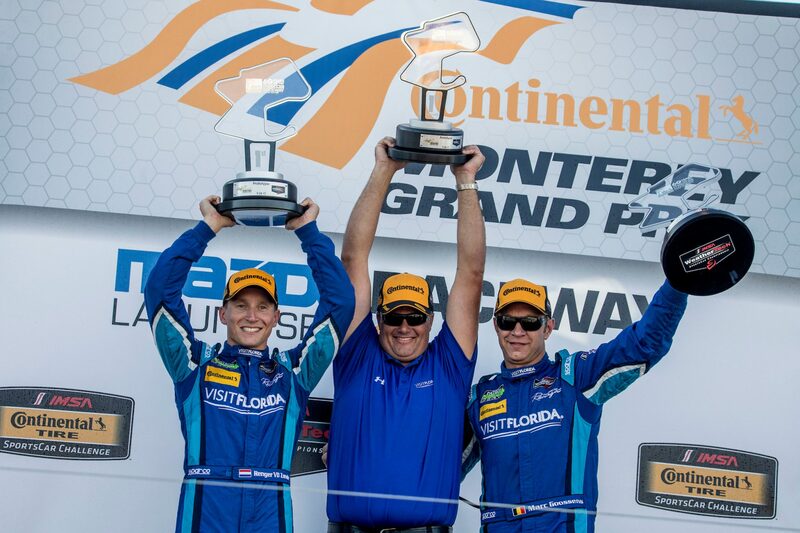 90 VISIT FLORIDA Racing Ligier JS P217 leapfrog up to second in line as van der Zande chased down the race leader. Clicking off faster times than the leading No. 31 DPi, van der Zande closed the gap with each lap. 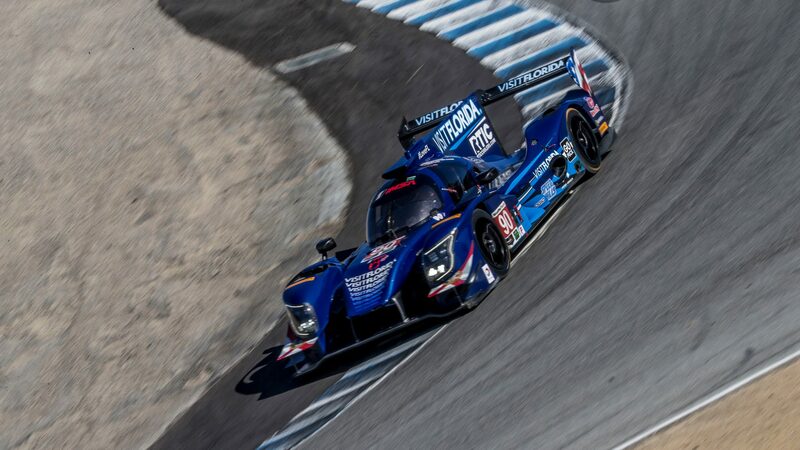 With minutes left, van der Zande made an incredible pass through the iconic Corkscrew corner that features a 180 foot elevation drop to take the race lead. He never looked back for the final three laps and delivered VISIT FLORIDA Racing its first victory of the 2017 season.